Washington Redskins Football team is NFL based American Football team playing under NFC Eastern Division. Redskins established in 1932 and have won previous 2 NFL Championship and 3 Super Bowl Championship. 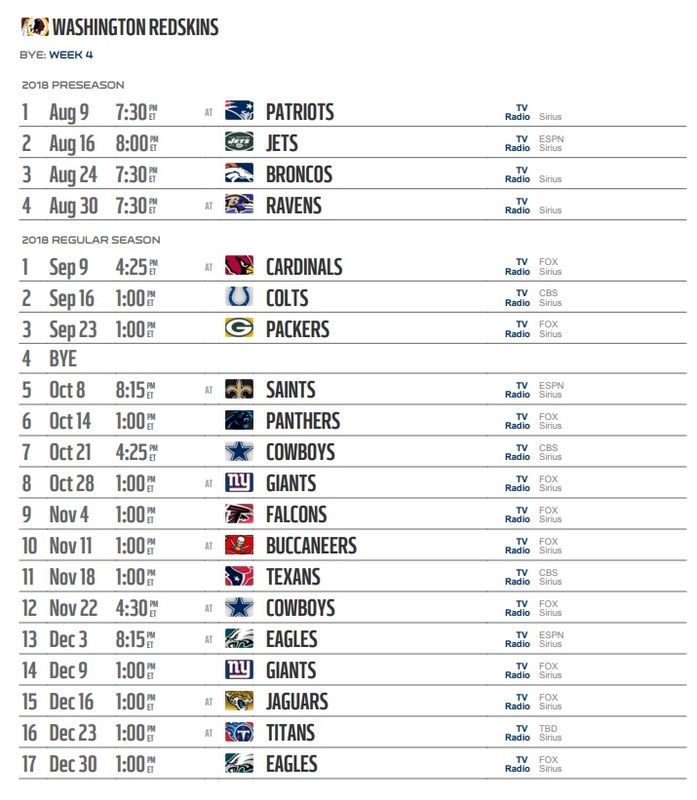 NFL Preseason Schedule 2018 and Regular Season is given on the NFL Schedule 2018 section.